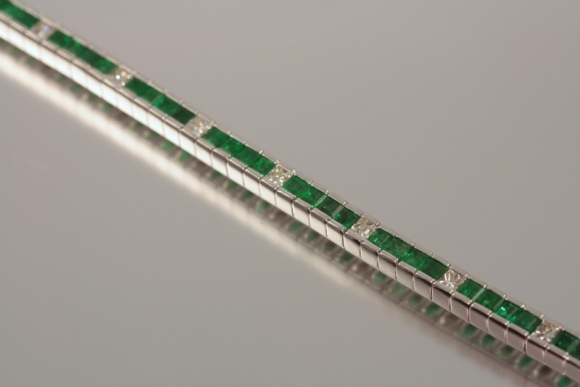 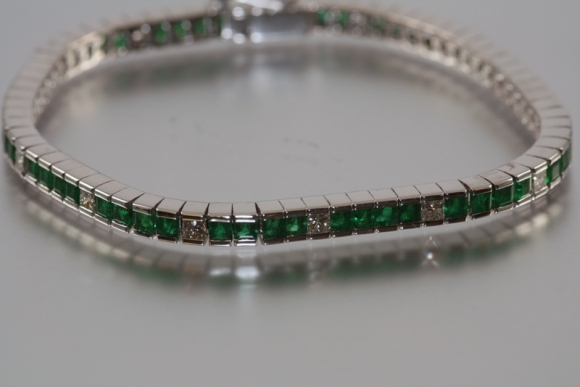 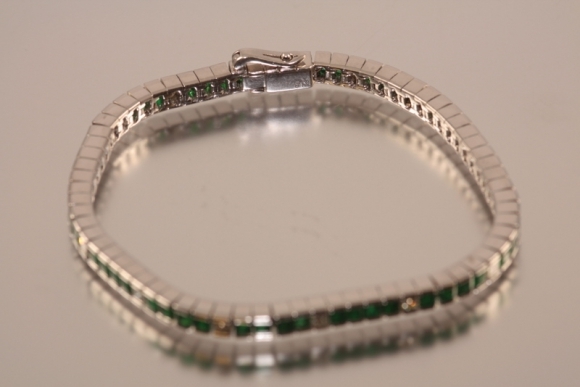 Crafted in 18K white gold this beautiful line bracelet is set with fifty seven square cut natural emeralds and fourteen princess cut diamonds. 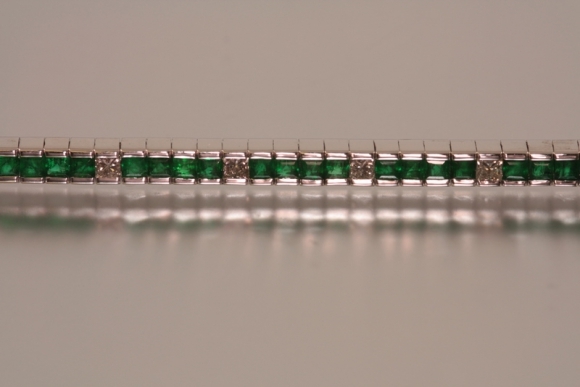 The emerald total weight is 7 carats and the diamond total weight is 1.4 carats. 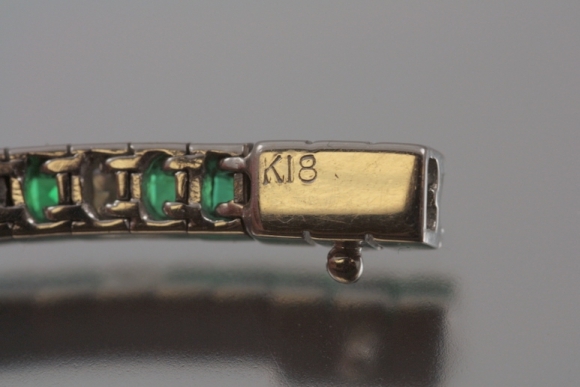 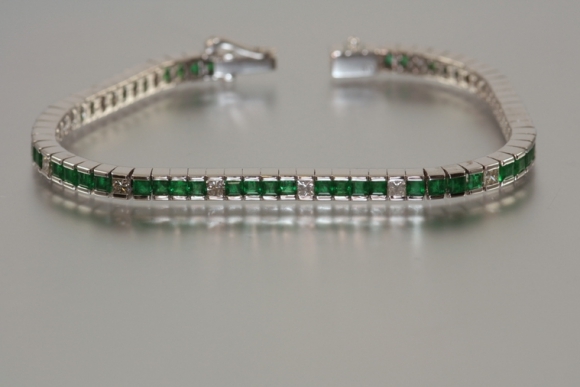 The bracelet is seven inches long and 4mm wide.